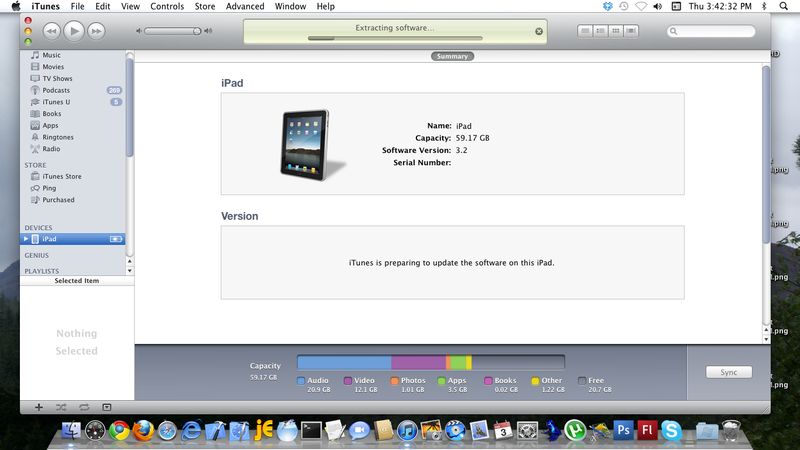 Tutorial: How use the iPad and 3G to download and install iOS – Part 3/3. 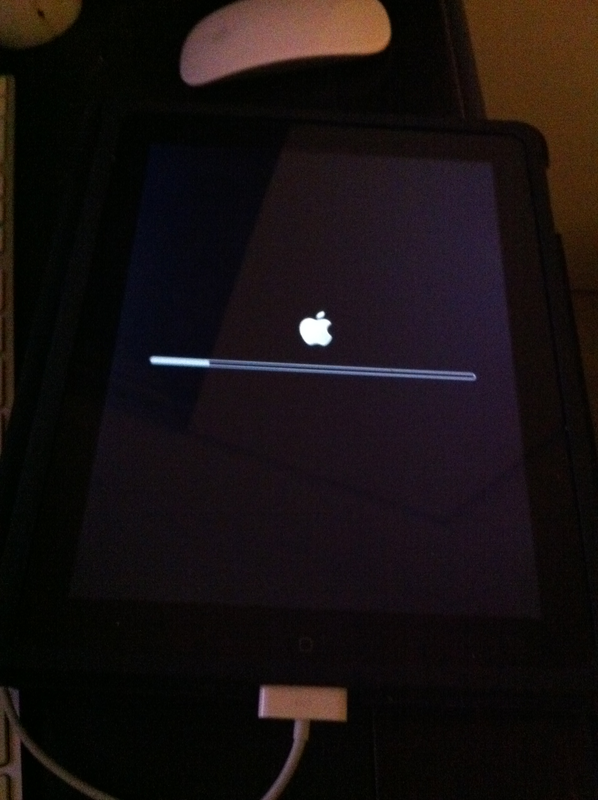 We left off in the last step with our iPad backed up and synchronised. 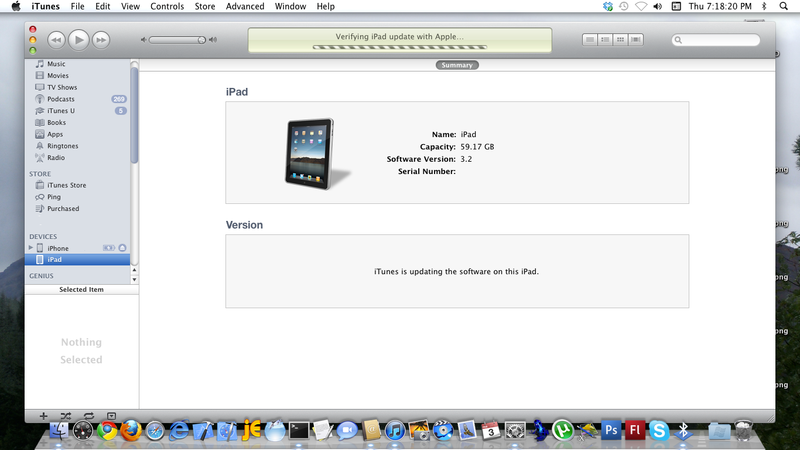 Before we begin the process of using our downloaded IPSW file to update our iPad iOS version, we need to tether our phone to our Mac, so that iTunes will be able to verify and authenticate the update. 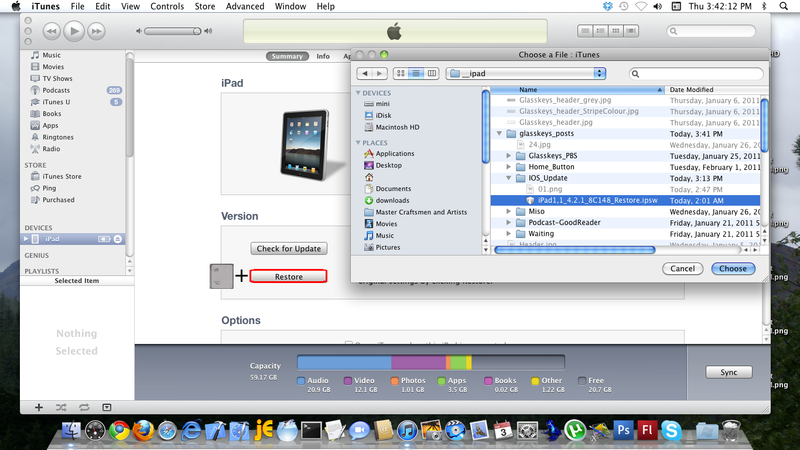 Without this brief connection to Apple for verification, it becomes impossible to update your iPad to iOS 4.2 (or higher), barring jailbreaking, which this tutorial does not cover. 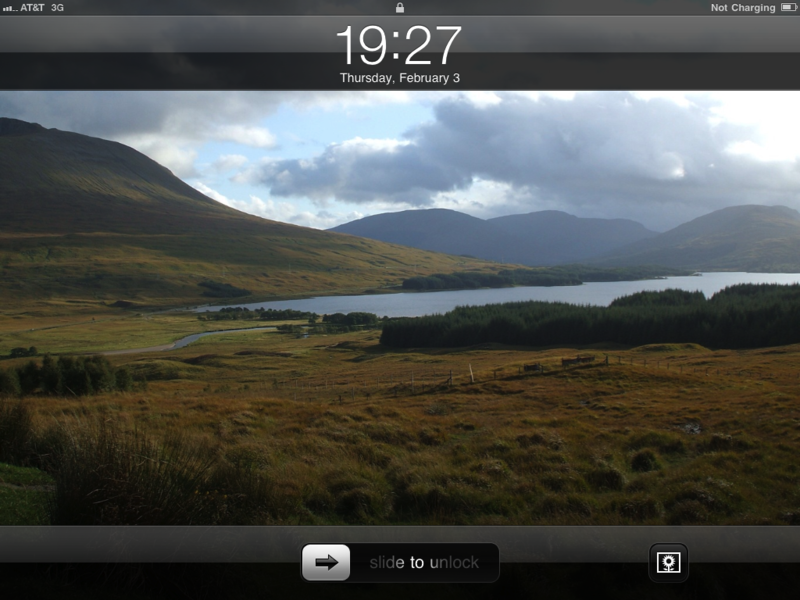 Slide to unlock, and enjoy the newest iOS version! 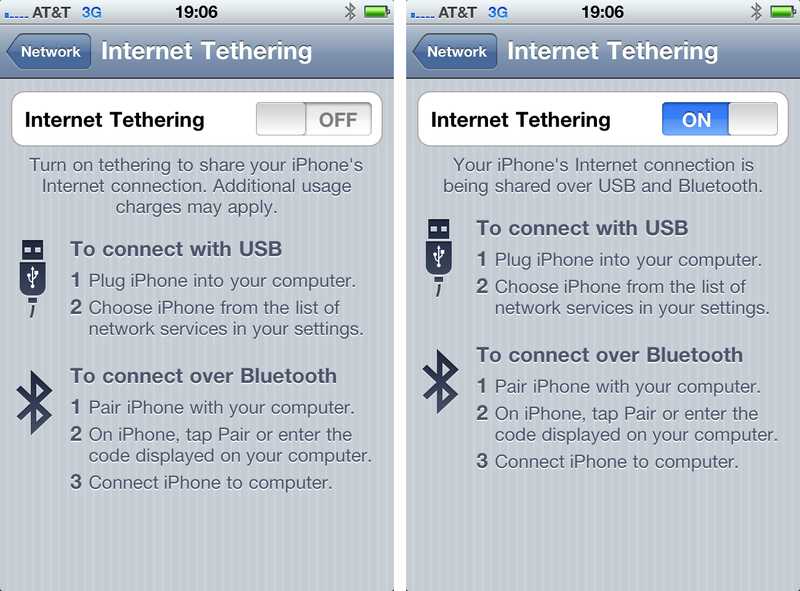 You may now turn off tethering on your phone and disconnect devices from iTunes if you desire. 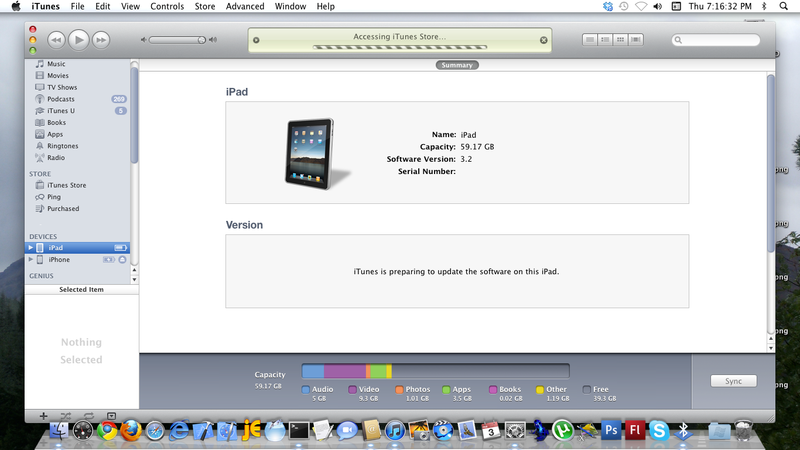 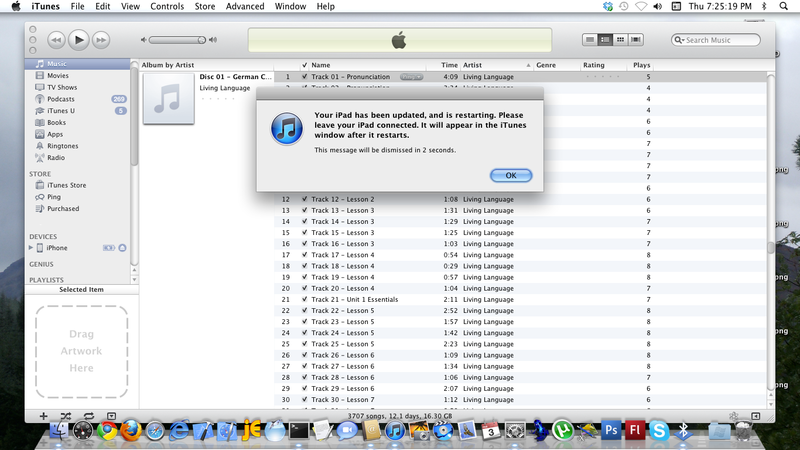 « Tutorial: How use the iPad and 3G to download and install iOS – Part 2/3.